Scott Friedman, CSP, and 2004-05 President of the National Speakers Association (NSA), is an internationally sought after professional speaker and author. As a motivational humorist, Scott inspires and entertains with fun-filled, interactive, and content-rich programs. Scott’s main area of expertise is employee innovation, customer experience, and using humor/celebration as a strategic tool. In addition to being the CCO—Chief Celebration Officer—at Friedman & Associates, Scott has written "A Celebration a Day! 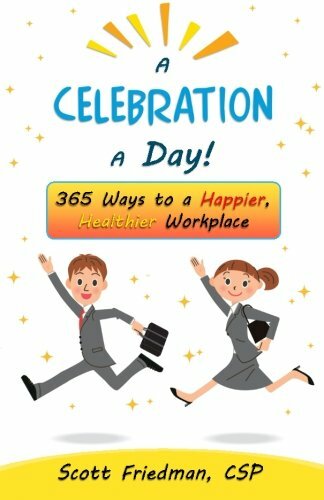 365 Ways to a Happier, Healthier Workplace," “Celebrate! 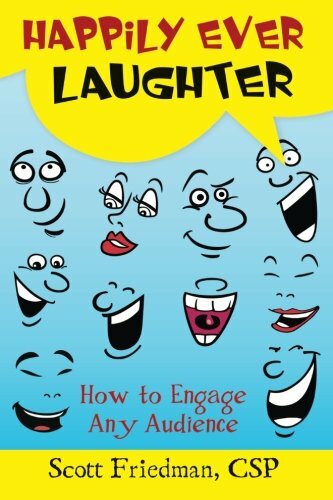 Lessons Learned from the World’s Most Admired Organizations,” “Happily Ever Laughter—How to Engage Any Audience,” and “Using Humor For A Change.” He is also the co-author of four additional books. As a CSP, Certified Speaking Professional, and trusted member of the speaking community, Scott continues to have a strong presence both domestically and globally. Scott is the 2013 recipient of NSA’s distinguished Cavett Award, presented annually to the NSA member whose accomplishments over the years have reflected outstanding respect, service, honor, and admiration in the Association and the speaking profession. Scott was also honored with the 2013 RISE Award from MPI, Meeting Professionals International, for global leadership. In 2013 he earned the CSPGlobal designation, for global speaking competence. (Less than 50 speakers hold this designation worldwide). For over three decades, Scott has combined his improvisational comedy experience, the art of storytelling, and relevant content to help his clients achieve their objectives. Late in 2014, I had the great privilege of interviewing Ramesh Kumar Singam, the country manager for FedEx in Malaysia. We’d originally met at the American Chamber of Malaysia’s Workforce 2020 event. The “Celebration Mindset” You already have it! The innate desire to celebrate and be celebrated. In fact, our brains are hard-wired to be magnetically drawn towards a “reward” state, or a state ripe for celebration.